So if the laptop ban would be ineffective and be very costly, why would the government consider it? 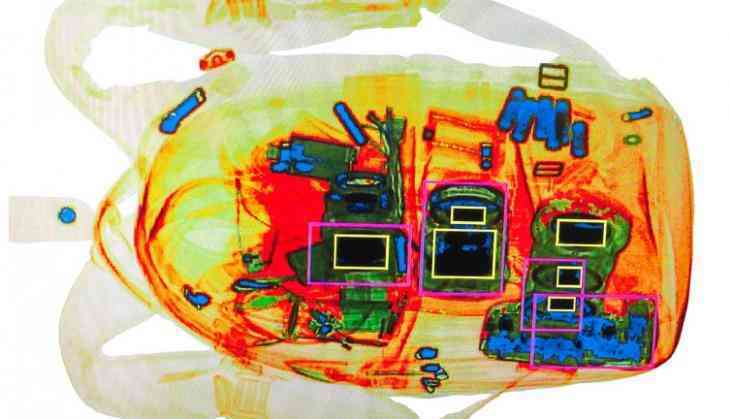 Recent reports suggest that terrorists can now create bombs so thin that they cannot be detected by the current X-ray screening that our carry-on bags undergo. 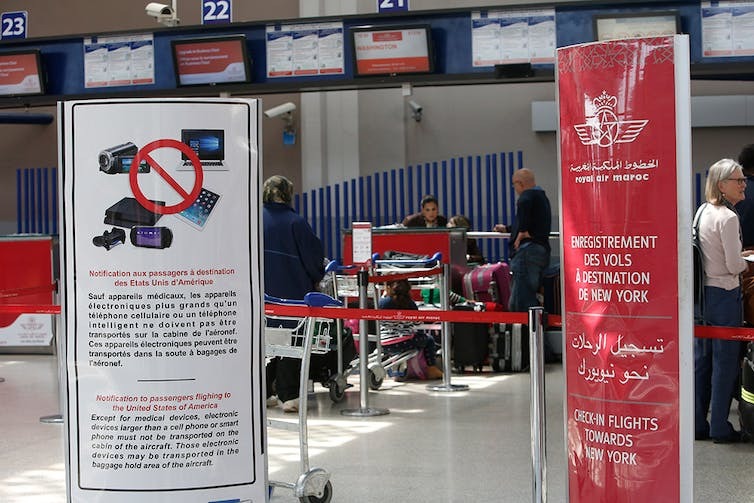 In an effort to protect against such threats, the U.S is considering banning laptops and other large electronic devices in the passenger cabins of airplanes flying between Europe and the United States. This would extend a ban already in place on flights from eight Middle Eastern countries. Given the significant disruption such a policy would cause tens of thousands of passengers a day, a logical question any economist might ask is: Is it worth it? It is tempting to think that any level of cost and inconvenience is sensible if it reduces the risk of an attack even a little. But risks, inherent in flying and even driving, can never be avoided entirely. So when weighing policies that are designed to make us safer, it is important to consider both their costs and potential effectiveness. Unfortunately, whether the benefits justify the costs is too often not the yardstick used by officials determining whether to pursue these types of policies. Instead, as law professors who have researched how the government’s travel policies affect civil liberties, we have found that it is more likely that political considerations motivate the adoption of restrictive policies, which in the end actually do little to protect citizens’ security. The current laptop policy regarding some flights from the Middle East was put in place in March apparently as a result of intelligence that ISIS militants were training to get laptop bombs past security screeners and onto planes. The U.K. adopted a similar rule. The Department of Homeland Security wants to extend that ban to transatlantic flights. This would cause major disruption and “logistical chaos.” Approximately 65 million people a year fly between Europe and the United States. Business travelers are concerned about the loss of productivity and the risk that a checked laptop with sensitive information could be damaged, stolen or subjected to intrusive search. Families worry about traveling without electronic distractions to soothe tired and uncomfortable children. Airlines expect a loss of business as people opt out of transatlantic travel altogether. Past policies such as limiting the liquids that can be carried on and requiring passengers to remove shoes are a case in point. They have increased burdens on both travelers – who must pay to check baggage and face added inconvenience – and taxpayers – who bear the costs of every policy change – while likely doing little to nothing to improve security. Regulators throughout the government typically must rely on a cost-benefit analysis to determine levels of acceptable risk, weighing the potential safety gain of a new policy against its costs and added risks. But when dealing with a fear of terrorism, it is common to find policies that are not cost effective. And if we subjected the laptop bans (the original and expansion) to a cost-benefit analysis, they would likely fail. The costs are high, the potential security gains are small, and the policy adds hazards of its own. To make its case, the government seems to be relying on several purported benefits of stowing laptops in the luggage hold. First, checked bags undergo additional screening for the presence of explosives. Second, it is possible that luggage in the cargo area could provide some insulation from an explosion. Finally, bombs placed in the cargo area require a sophisticated timing device, unlike simpler explosives that could be set off manually. But these benefits appear dubious as support for a laptop ban. Carry-on luggage could go through expanded screening, for example, while the notion that checked luggage might make an explosion more survivable is speculative – and such gains might in any case be offset by the dangerous greater vibration found in cargo cabin. Lithium batteries have, after all, been forbidden from the cargo compartment for a reason – and must instead be carried on – to avoid the risk of fire. And of course, this does little to protect against the risk of an explosive device in the cargo cabin. It just moves the risk to an isolated area of the plane. Moving the devices to the hold could actually make such devices harder to detect if they slip past airport screening. The exploding lithium batteries in Samsung devices, for example, show how even ordinary fire risks can be greater when passengers are not there to notice a smoking battery in a bag in the overhead compartment. Similarly, the presence of observant passengers can help thwart terrorist activity when it does occur, as happened with the underwear bomber. One should keep in mind that one of the greatest airline tragedies of all times, the attack on Pan Am flight 103 that exploded over Lockerbie and claimed 270 lives, was caused by a bomb that went off in a suitcase in the cargo hold. On the economic side, the financial costs of the policy change would likely be very high. Based on statistics from the U.S. Department of Commerce, travel industry professionals estimate that the cost of lost productivity alone for business travelers unable to work on flights between the U.S. and Europe is estimated to be as great as $500 million a year. The potential loss of tourism revenue may be even greater, as families avoid vacationing in the United States and business travelers choose to meet by teleconference instead of in person. So if the laptop ban would be ineffective – or worse yet, even make airline travel less safe – and be very costly, why would the government consider it? The answer is likely politics. And that is because people overestimate the likelihood of being harmed by a terrorist attack, which lends extreme actions like the laptop ban public support, while they underestimate the risks of more ordinary occurrences like car accidents or defective batteries. From 1975 to 2015, fewer than 84 Americans a year died due to terrorism, and that includes the attacks on 9/11. Meanwhile, in 2015 alone a total of 38,300 people died in traffic-related accidents in the U.S. And lithium batteries have been blamed for dozens of aircraft fires and may have been what brought down Malaysia Airlines Flight 370, which disappeared in 2014 with more than 200 passengers and crew. 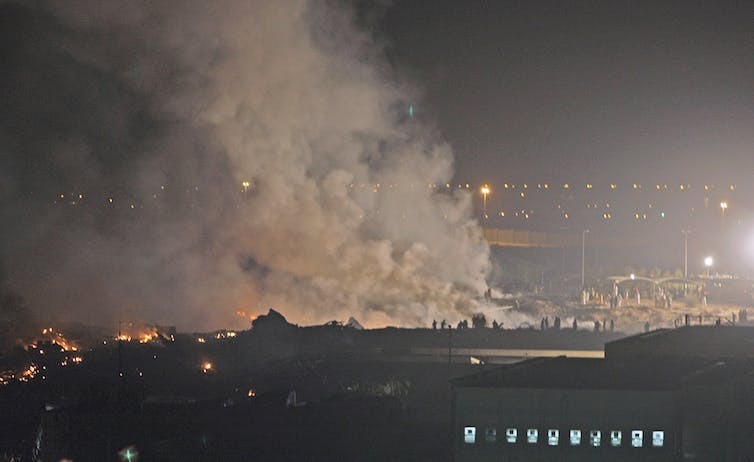 At the same time, officials on whose watch an attack or other disaster occurs receive disproportionate blame, something that does not carry over to more ordinary risks. People fear terror attacks more than the common threats that are actually more likely to cause them harm. Politicians may respond to their voters’ concerns, and may even share the same cognitive biases. As a result, government decision makers have an incentive to overvalue measures taken to prevent terror attacks, even at the expense of increasing more ordinary – yet more likely – safety risks. While there may not be much we can do about Americans’ misconceptions about the risk of terrorism, public policy on an issue as important as airline safety should not blindly follow them.